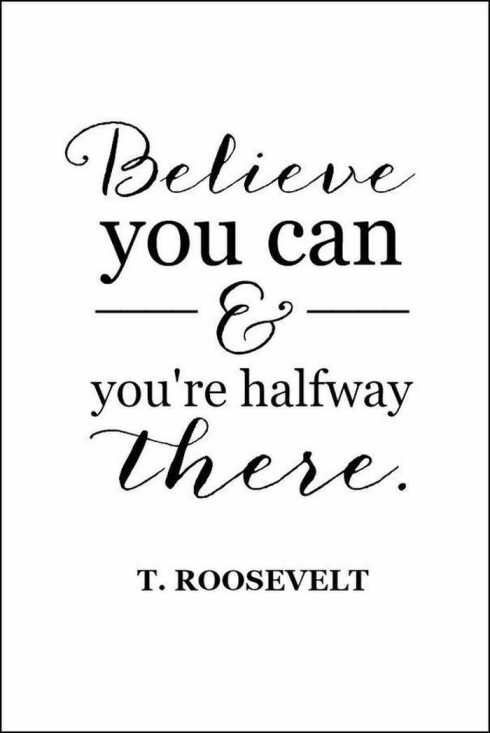 Quote of the Day by T. Roosevelt – lemonade & co.
We are already almost halfway through April. This year is flying by! Before we know it another year will be over and we will dream and make goals for the new year. One of my goals/resolutions for this year was to become more spiritually and physically fit. Sunday, I started no sugar, dairy or carbs for a week. I’m already half way through the week and looking forward to the results at the end of the week. I will most likely do another post this weekend about how it went. Deciding to pursue a goal requires belief that you can achieve it. If you don’t believe it could ever happen, what’s the point of having it on the goal list? When the idea to try to go a week without sugar popped into my head, at first I thought it would be an impossibly crazy feat. Then I randomly decided to also add no dairy or carbs to the list. That just made the impossibly crazy feat way more intense. Thankfully, since I eat mostly healthy, this no sugar journey actually has been easier than I thought it would…but maybe I shouldn’t say that just yet, since I still have half of a week to go. I actually have really enjoyed the experience so far and it’s been fun to challenge myself to see if I could do it. That reminds me of the saying, “You can do anything you put your mind to”. If we believe we can do something, we truly are already halfway there. Once we determine in our minds that we can do anything through Christ who gives us strength, we can do anything. Isn’t that awesome to know?! We can do anything through Christ. When we ask Him for help or strength, He will help us. Knowing that nothing is impossible with God’s help, what are we waiting for? Let’s make today a great day, by believing we can do anything we set our mind to with God’s help!